It's very convenient for parents, especially in the age of cell phones, to make payments straight from their phones using their credit card or bank account. This can also help your center stay on top of payments, so you don't have to go chasing parents down. 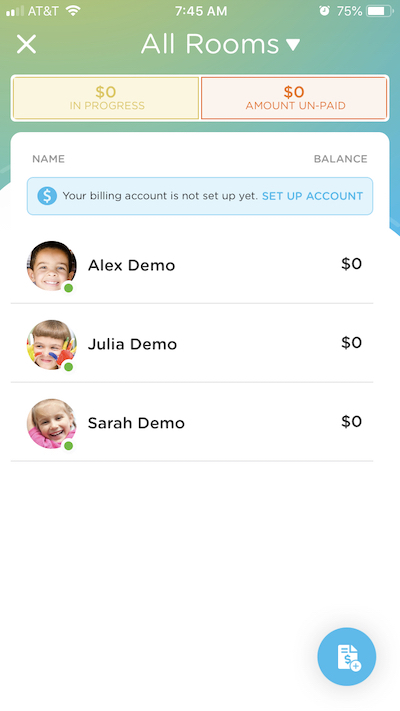 Once you have set up your bank account to accept payments from parents in Kinderlime, they'll be able to log into the app and set up their preferred payment method and turn on autopay. With autopay, payments are deducted automatically on the invoice due dates, making the billing process easier than ever. 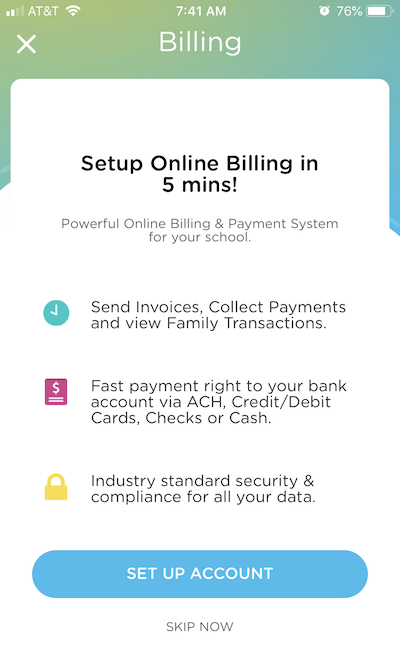 Online billing can be set up on the website or the app. If you go through the app, you'll click on the Billing icon in the bottom tray. From there, click on the "Set Up Account" link highlighted in blue. Alternatively, you might see this screen, where you can directly click on the Set Up button. 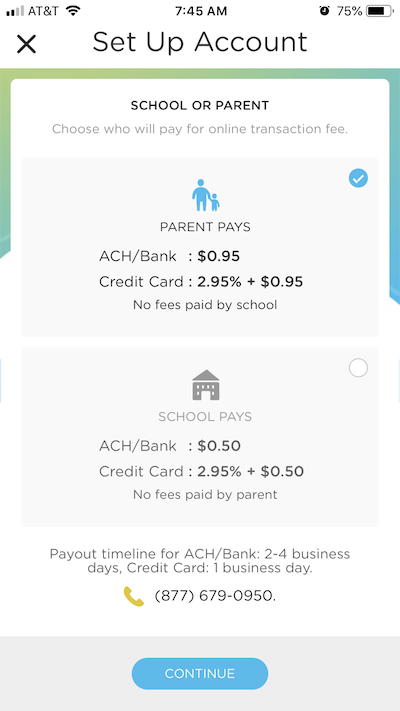 After clicking the button, you'll be able to choose whether you want the parents or the school to take on the transaction fees. Once you've decided, you can start entering your information on the following screens. The last step involves adding the bank account where you want funds to be deposited from parent payments.